Nicki Minaj Meek, Safaree Who? I'm Moving On with Nas! Nicki Minaj couldn't care less about her 2 exes' drama over BET weekend ... 'cause she's got a new hip-hop king to occupy her mind. Sources close to Nicki tell TMZ she hasn't batted an eyelash over news Meek Mill might have ordered his goons to jump her other ex, Safaree. And the reason is simple ... Nas. We're told Nicki doesn't feel anything about the fight, mostly 'cause it's not her problem ... and both of those dudes are in her rearview. More importantly ... she's happily moving on with her new man, Mr. Jones ... although it's still in the early stages. 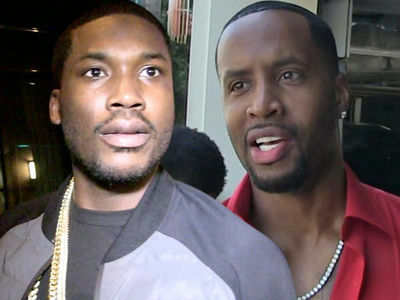 As we reported ... Safaree challenged Meek to a 1-on-1 fight after he claimed Meek orchestrated the attack on him. 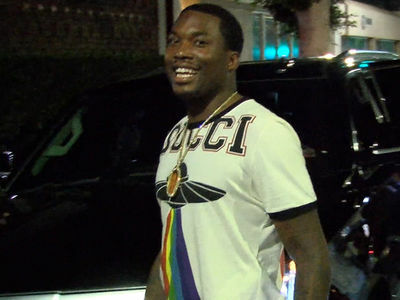 Meek denies that. 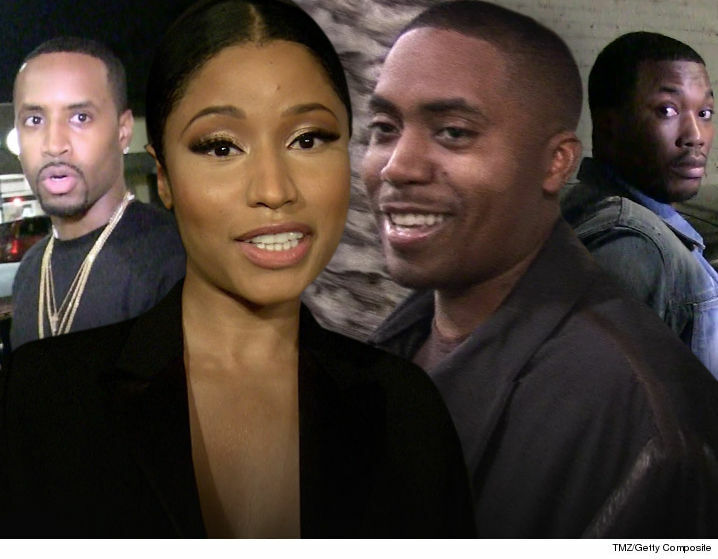 Either way, the bottom line here ... Nicki's over both Meek and Safaree, and their beef is theirs alone. Somewhere, she and Nas are playing the Counting Crows -- looking deep into each other's eyes.